Unlike most people, PB&J doesn’t remind me of fond childhood afternoons. I never even had tried peanut butter until my teenage years. No, I wasn’t allergic, but my brother was. And no, he didn’t outgrow that allergy when I became a teenager. So why was peanut butter allowed in my house when my brother was still allergic? Well, let’s just say that those were my rebellious years (no, they actually weren’t). The real reason was that my parents weren’t afraid my brother was going to accidentally inhale a jar of peanut butter now that he was older (like that was ever likely). But anyway… let’s make the cake! 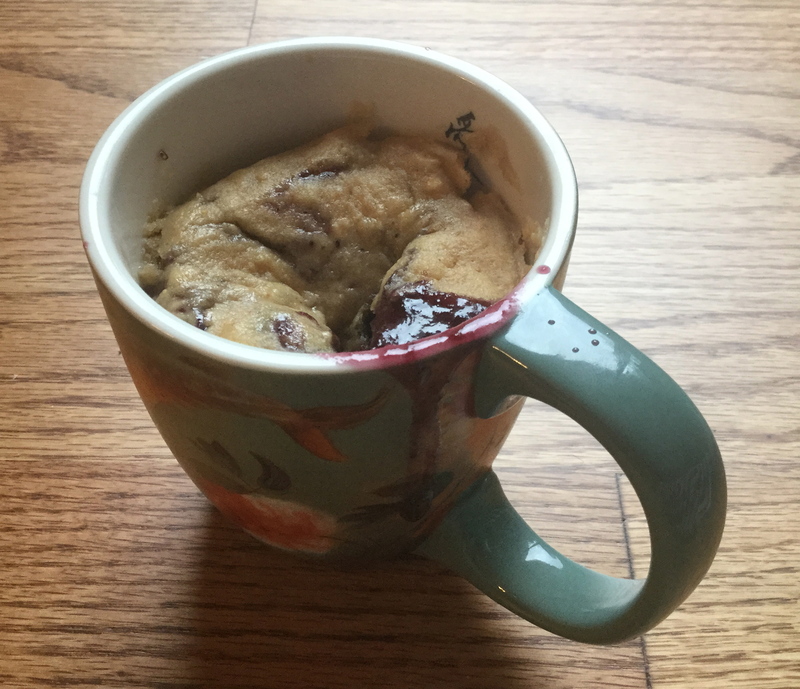 What could be cuter and ‘nummier than a single serving brownie in a mug? Especially one that’s dense, chocolaty, and fudgy (and did I mention easy)? Trust me, this personalized brownie will whip up fast and satisfy any sweet tooth!